Your child is picked up from school, shortly after bell time and transported safely to our facility. 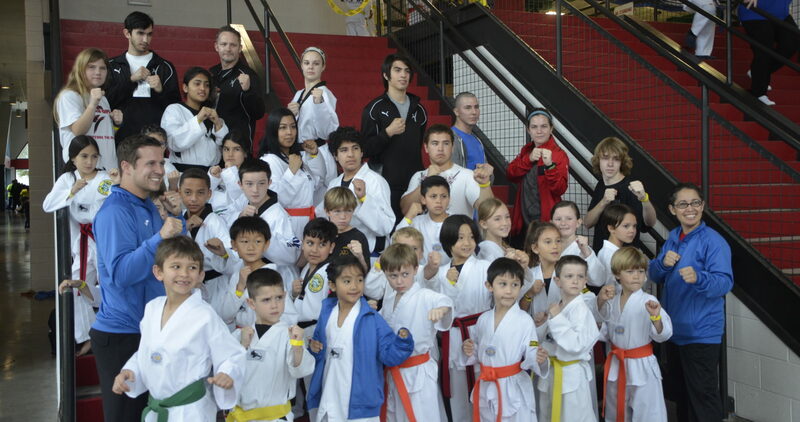 Once there, your child will take part in confidence-building Taekwondo classes. Our very popular After School Program for grades pre-K – 8th grade is designed to motivate and inspire children to learn a positive attitude and develop a good character in the martial arts. Our certified instructors will help your child get physical exercise, learn discipline, manners, and respect for teachers, parents and other students. They will learn self-esteem through earning belt ranks and thus learn self-confidence and a “Yes, I can!” positive attitude that will carry over into school, work, and sports. When you pick up your child, they will be ready to get focused on responsibilities at home and to spend time with their family. Many children will sleep better resulting in better concentration for the next school day. Better than daycare. This is a skills program that will help your child become safer with our self-defense, awareness and anti-bullying training, in which they will participate in every day. You’ll appreciate the valuable character lessons they’ll also learn. Be sure to pack a snack for your child to enjoy between the two classes. Cost: $259.00 per month Ask about our Silver and Gold Program for big savings on Holiday and Summer Camps!! Our afterschool pickup program follows the Northside ISD calendar. We also provide Holiday Sports Camps on days when children are not in school including holidays, spring break and the summer. Transportation arrangements with NSMA and school release information must be completed prior to the first day of classes.